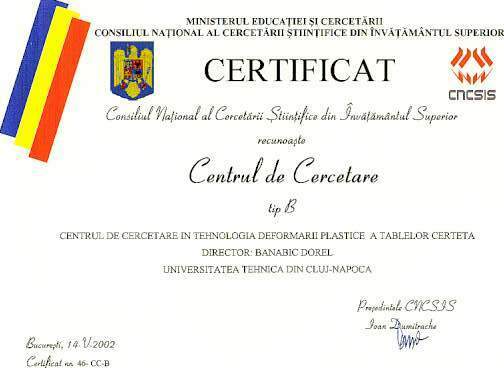 Prof. Banabic has been the Director of the Scientific Research Department of the Technical University from Cluj-Napoca. 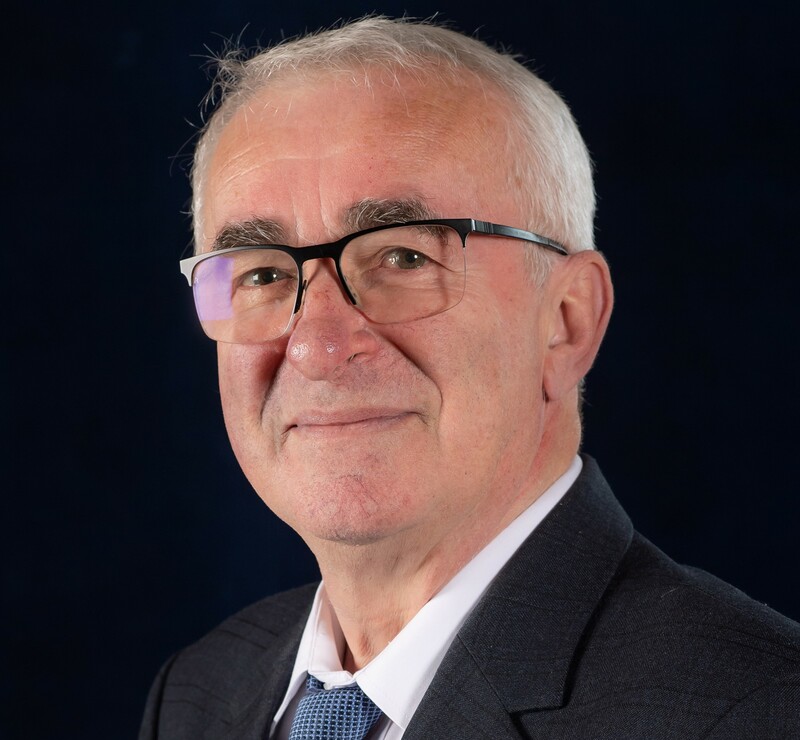 He has founded (and is currently director of) the Research Center in Sheet Metal Forming (CERTETA) belonging to the Technical University of Cluj Napoca. He is currently President of the Board of Directors of the European Scientific Association for Material Forming (ESAFORM). 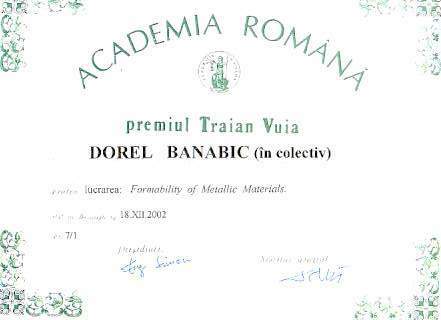 Prof. Dorel Banabic is a Fellow of The Romanian Academy, The International Academy for Production Engineering (CIRP) and The Academy of Technical Sciences of Romania.